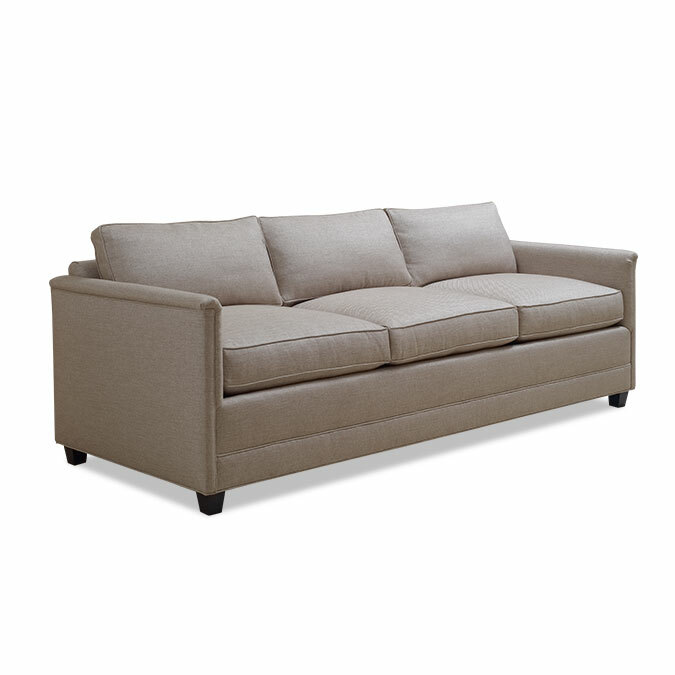 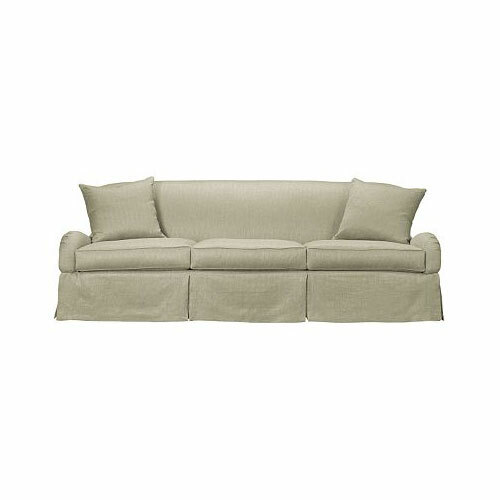 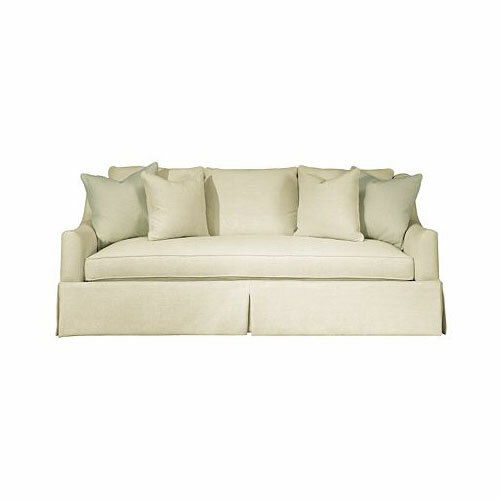 The Dylan Sofa features a beautifully shaped buttoned tight back and graceful, sweeping arms. 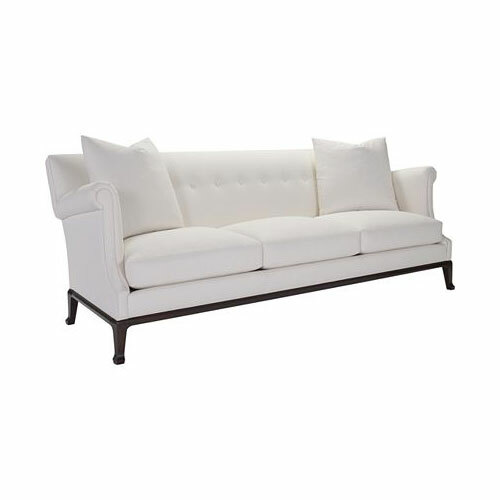 Dylan is standard with comfortable three-piece Spring-Down seat cushions and a pair of 22-inch Goose Feather throw pillows in fabric. The sculptural base has a shaped mahogany apron and hand-carved legs.